As i mentioned in my previous post Kumi Yama had a photography contest included in it this year. Alongside my other work i also took part in the competition and now the results are online for people to see. We had to submit four images depicting different themes; Rising Sun, Reflections, Gang Spirit and Pixel V&#8217;s HD. The first three images had to be presented digitally untouched as they were shot (which makes me rather sceptic of some of the other entries) where the final image was up to our interpretation. The voting process is done by the public which makes it feel a little like a popularity contest with the largest number of Facebook friends having a certain heavy influence on the outcome. Regardless of that fact here are my four submitted images. Rising Sun. 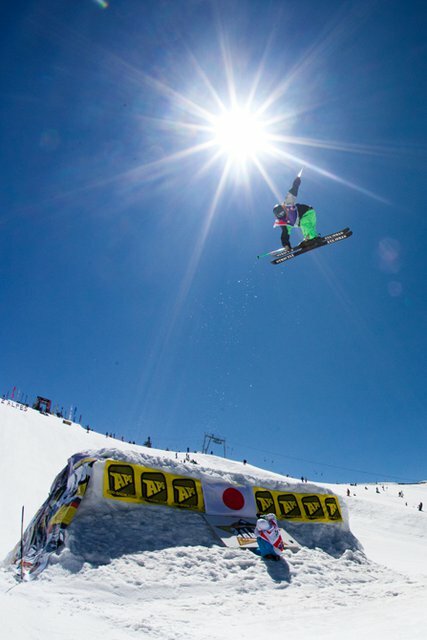 Pretty simple shot of Japanese skier Kentaro Tsuda on the kicker. Reflections. I tried a few attempts at having the powder case being held but the tiniest movement threw off the focus. Last minute improvising. 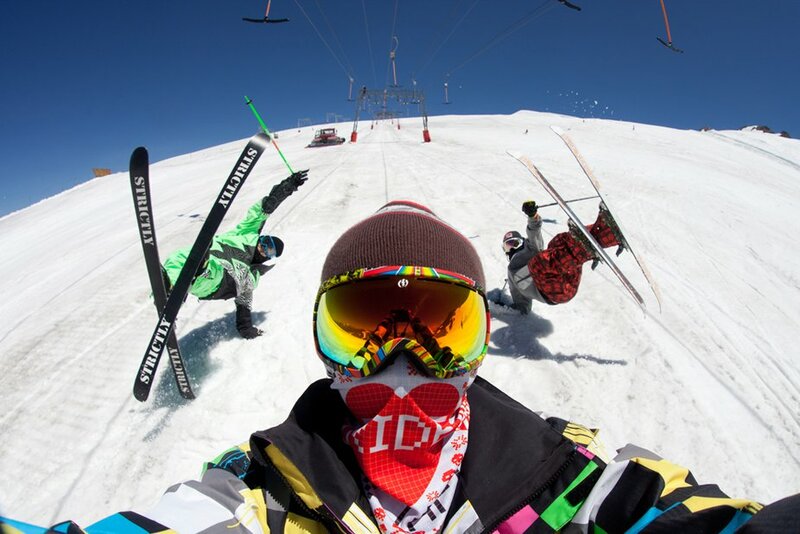 Gang Spirit. 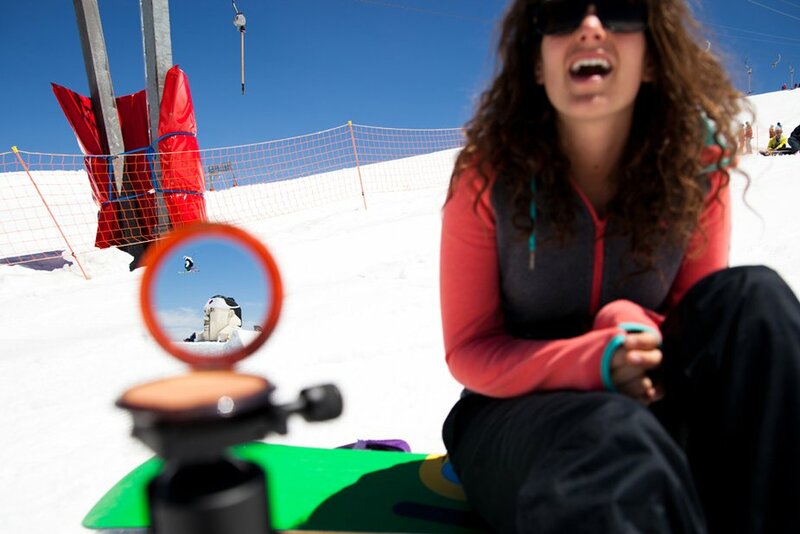 For this one i used Japanese Ninja Tatsuya Tayagaki as a tripod and shot with a remote release to get the three skiers in on this shot. Pixel V&#8217;s HD. This shot was being stitched together as i was being refused entry past the Serbian Border. 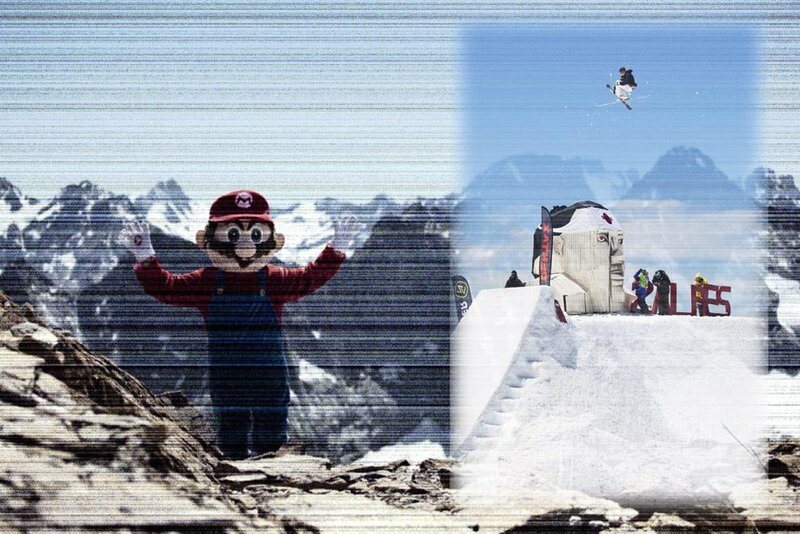 The Mario themed weekend brought images of old pixelated TV sets alongside the HD of the skier on the hip. So there you have it shot wise. If you like what you see and want to vote for me then please head over to the website and click on the stars to cast your vote. Regardless of the outcome i&#8217;m happy with my results. I stuck to the editing rules, thought and composed my shots accordingly and had a lot of fun whilst doing it.